As teachers we are often challenged to balance full classrooms, demanding curriculum, “new” pedagogy, differentiated assessment and evaluation, and to ensure that students are engaged in higher-order thinking. Rather than learn something new, I would encourage you to read on and remind yourself of something old, yet effective. Josh Bertrand, left, teacher Jeff Planetta, Destiny Ekotla and Leanna Vital pose with the only rabbit that the students from Charles Yohin School in Nahanni Butte snared during their four day culture camp in February. Photo courtesy of Jeff Planetta. My name is Amanda Forbes and I am an Ontario Certified Teacher. As a relatively new teacher, I continue to research and attempt innovative ways of instruction to build on my pedagogical foundation. New resources available for 21st century classrooms and 21st century skills emphasize creativity and innovation as well as differentiated assessments and project-based or experiential learning. Following a trip to the Deh Cho in 2005, I began to explore the differing approaches to education in the north. I am inspired that schools in Northwest Territories already use these theories in their cultural camps which allow their students to gain important traditional knowledge through experiential education. As an educator from Ontario, I have a lot to learn from my colleagues in the North. I asked Roxanna Thompson, a journalist based in Fort Simpson, NT to help explore and clarify certain aspects of experiential learning, particularly the perspective of the classroom teacher and the overall benefits to students. 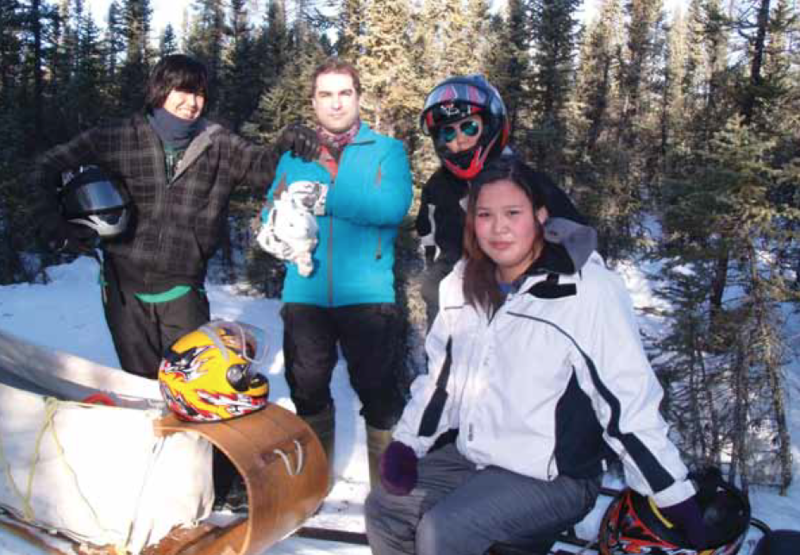 In February Joshua Bertrand, 15, and four of his junior high school classmates travelled three hours by snowmobile from their community of Nahanni Butte, population approximately 130, to Blue Fish Lake. At the lake the students from Charles Yohin School, along with their teacher and a chaperone, spent four days with two harvesters from their community tending an established snare line. In addition to checking the snares for rabbits on a daily basis, the students built snow shelters, did chores around the cabin and spent their evenings learning about the constellations and telling stories around the campfire. The four days spent on the land was one of many school organized culture camps that Bertrand has participated in. Nahanni Butte is one of seven communities located in the southwest corner of the Northwest Territories in a region called the Deh Cho. The majority of the region’s residents are Dene and their traditional language is Dene Zhatie. Through their oral histories the Deh Cho Dene recount that they have lived on the land since time immemorial. The Dene culture and traditions that are intertwined with the land are passed on to the next generation in part through the school-run culture camps. The importance of teaching youth on the land as well as in the classroom was formally recognized when the territorial Department of Education, Culture and Employment implemented the Dene Kede curriculum in 1993. The Dene Kede is a framework for learning about the language and culture of the Dene people based on the Dene perspective and worldview on learning, said Terry Jaffray, the superintendent of the Dehcho Divisional Education Council. Another element of the Dene perspective is the cyclical nature of learning. 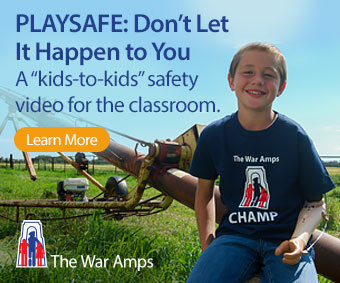 This is put into practice at the camps as students do the same activities year after year. As the students get older, however, they are expected to show that they can apply the knowledge they’ve learned. In the case of fishing, younger students may start out by casting a few lines on a rod prepared by a teacher. Older students meanwhile learn how to bait their own hooks and then clean and prepare their catches. Culture camps are important because not only do students gain whatever skill is being taught but they also develop an understanding of how important that activity is to Dene life and survival, said Jaffray. As the students get older they gain a new respect for how tough and self-reliant their grandparents and ancestors were. If students don’t catch a moose during a culture camp it’s okay, but in the past not harvesting animals could have serious repercussions, she said. While talking to culture camp instructors, one of the common themes that emerges is how well students respond to being at camp. Bernice Gargan has been a language instructor at Bompas Elementary School in Fort Simpson, the largest community in the Deh Cho at approximately 1,200 people, for five years. Gargan, who is Dene, takes the students at Bompas on culture camps in the fall and again in the spring each year. As soon as they returned from their Christmas break students started asking about this year’s spring culture camp. “That’s how much they love it,” she said. Gargan finds that the students who have behavioural problems in the classroom are the ones who step up at the camps. Gargan attributes their calmed behaviour to the type of learning they participate in at the camps and the open spaces that contrast with closed classrooms. “It’s all hands-on learning and that’s the way I learned best when I was a kid,” she said. During my five weeks in the Deh Cho in 2005, I was fortunate enough to travel to many communities, though I was very much a tourist and an outsider. I visited schools, community centres and festivals. I met local residents and government workers and spent a number of days researching culture in adolescent fiction in the John Tsetso Memorial Library. Some my own experiences, and much that Roxanna has shared with me over the past seven years, has shaped who I have become as an educator. The willingness of the territorial Department of Education, Culture and Employment to embrace experiential learning and incorporate it into current educational theory and practice is not so much a step toward the future but a return to the past. In the same manner that Dene can learn their own culture and heritage through experiential learning, students throughout the country can be engaged in taking ownership of their learning and acquiring new skills through similar learning cycles. Student engagement depends largely on student buy-in of ministry mandated curriculum, but rather than see this as a stumbling block and potential classroom management issue, teachers should embrace a return to traditional methods which are clearly successful. These small pockets of experiential learning benefit students in multiple ways and I look forward to a time when more Canadian educators embrace 21st century classrooms and 21st century skills by recognizing their roots in solid pedagogy and successful instruction from the past. Amanda Forbes is a Curriculum Support Teacher for Technology with the London District Catholic School Board in Ontario. She is passionate about challenging educators to engage in professional development outside their comfort zone. Roxanna Thompson is a journalist based in Fort Simpson, NWT. She takes advantage of every chance she gets to spend time at cultural camps throughout the Deh Cho.